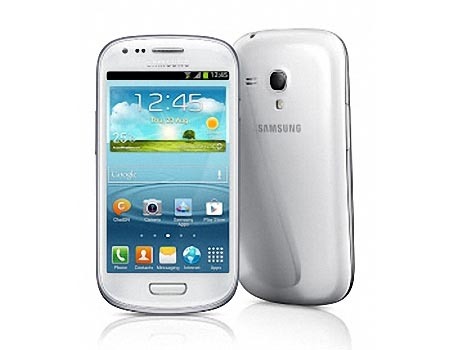 Samsung Galaxy S3 mini is a 4.0-inch Android smartphone that measures 121.55 x 63 x 9.85mm and weights 111.5g. 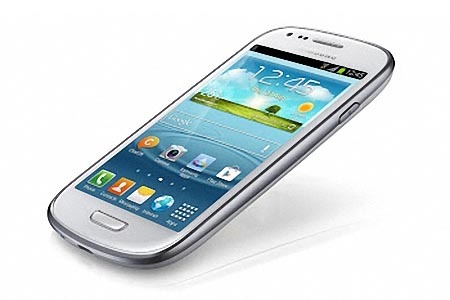 The Android phone runs on Google Android 4.1 Jelly Bean mobile operating system, and features a 1GHz dual-core processor, 1GB RAM, 8/16GB internal storage, a 4.0-inch WVGA AMOLED display with 800 x 480 pixels resolution, a front-facing VGA webcam, and a 5-megapixel rear autofocus camera with LED flash. Moreover, other specs also contains Bluetooth 4.0, WiFi, GPS/GLONASS, FM radio with RDS, NFC, microSD card slot supporting up to 32GB, and 1,500mAh rechargeable battery. Apart from that, Samsung Galaxy S3 mini supports HSPA, EDGE/GPRS network standards. 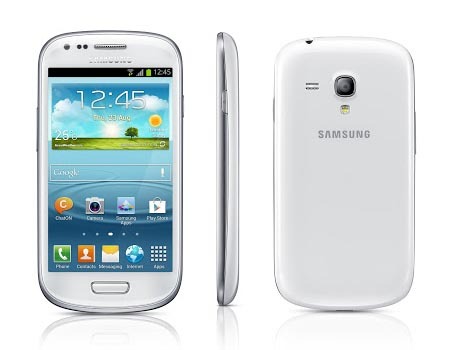 Samsung hasn’t unveiled detailed pricing and release date of Samsung Galaxy S III mini until now, but if you’re interested, jump to Samsung official site for more details.